I got this lipstick from one of my dear friend.Although,I don’t like frost finishes but I was completely smitten away by the creamy nature of this lipstick. PRICE: £1.99 for 3.5 gms. 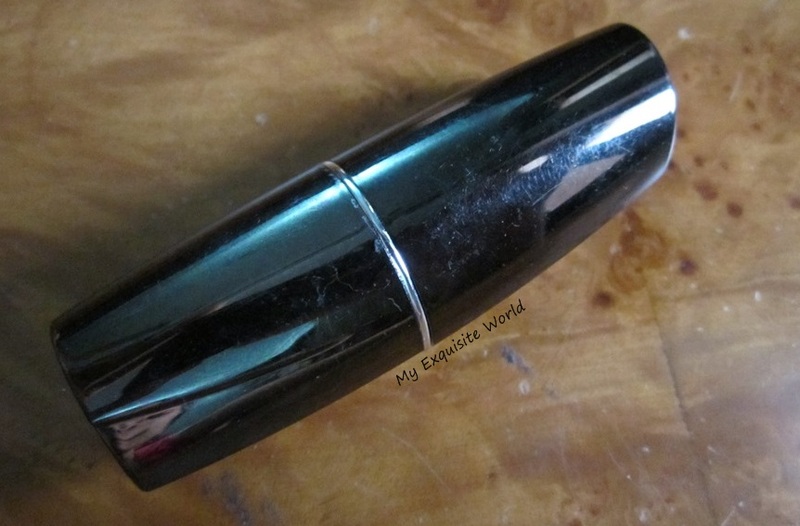 PACKAGING: The lipstick is housed in a shiny metallic black casing.I find it a bit low but the price it comes at,the packaging is great and travel friendly.The shade name and indicator are provided at the bottom. 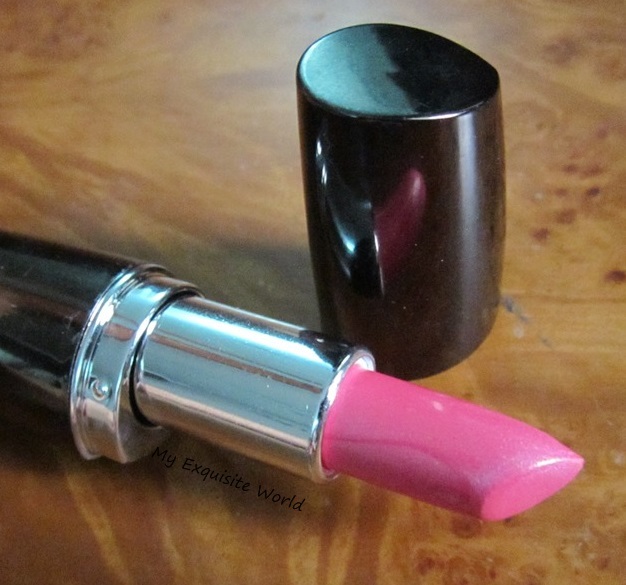 SHADE: The shade sugar pink is true to its name as it is a frost finish baby pink.It looks very sugary,very sweet.This shade can be a go to had for those who are new to makeup and college girls as it is very subtle. 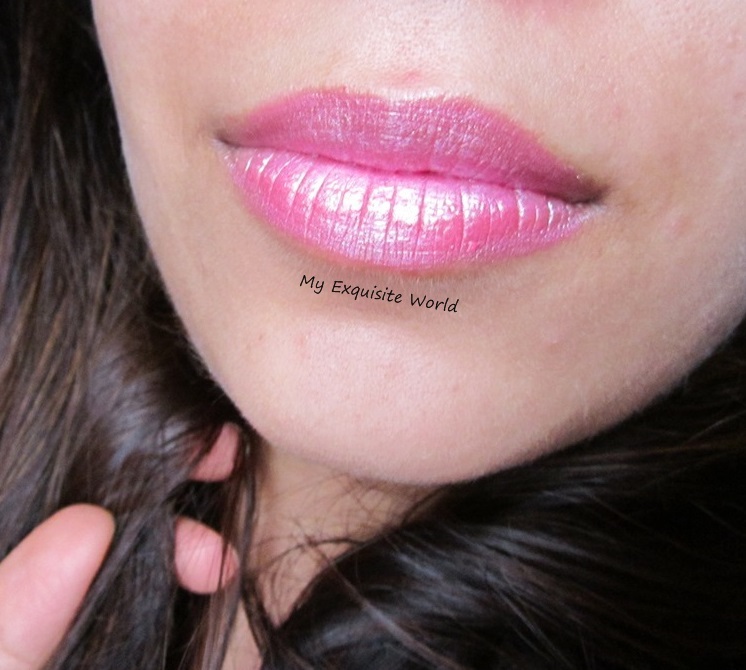 MY VIEWS: The first thing that impressed me was the creamy nature of this lipstick,It felt so buttery and soft on application.It has vanilla fragrance that makes it all the more divine. The lipstick is very moisturising for dry lips.It doesnt settle in the lip lines neither accentuate flaky skin.The shade is decently pigmented but it may not cover very pigmented lips as the shade itself is very light. Staying power is around 3 hours max. which is low. the shade is very subtle. mild fragrance that I like. won’t cover highly pigmented lips. 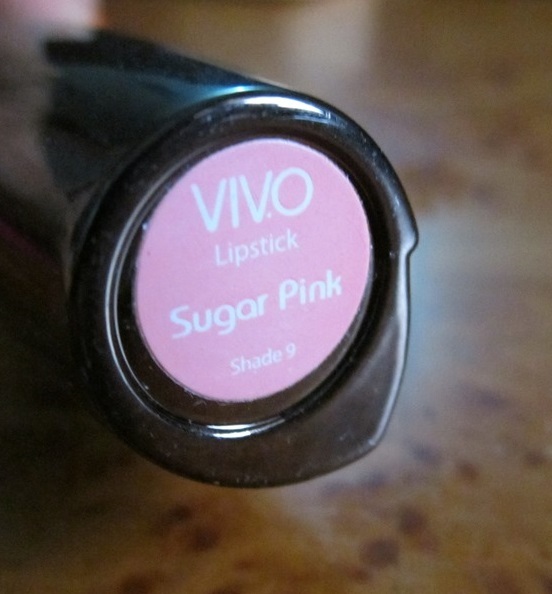 RECOMMENDATION: I love the formula but sadly he shade is a bit light for me and the finish is frost.I would love to try other shades from this range as it love the feel of this lipstick.It can be a great shade for those who don’t like dark shades or college girls.Worth checking-Vivo cosmetics have 8 more shades in this range! !